Have at least 2 pairs of shoes to rotate while allowing the other pair to air out. Weight, foot structure, and running regimen are all deciding factors. Be mindful that all shoes have a different shape, and sizes and widths are not uniform from shoe to shoe. 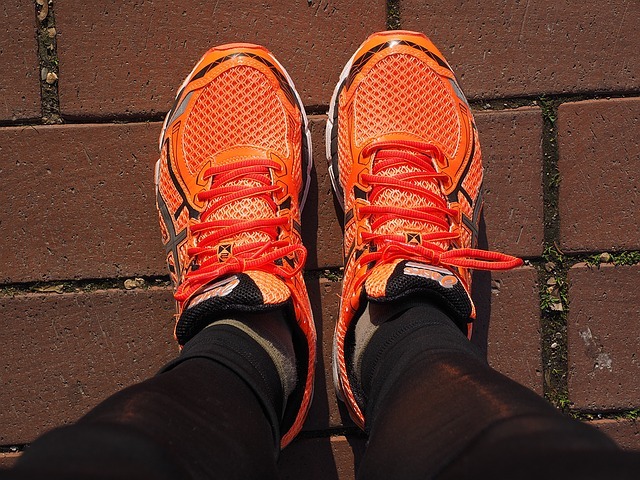 Consider whether a special insert, orthotics, will be placed in your shoe, and whether your running style is flat-footed or on the balls of the feet. Shoes should provide cushioning for shock absorption, and ought to be able to fully bend at the ball of the foot area.